In April, 1916, the F. N. Marett and Co. started the excavation of the new red brick building. This new structure would be between the F. N. Marett store and Daniel Shannon's Hardware store. The new red brick building would be built on the location where the old Central Hotel had been built years ago. The Central Hotel was a very long and narrow wooden structure. The small red brick building was utilized as a recruiting centre in 1917 and later by a number of undertakers over the years who were all employed by the F. N. Marett Company. 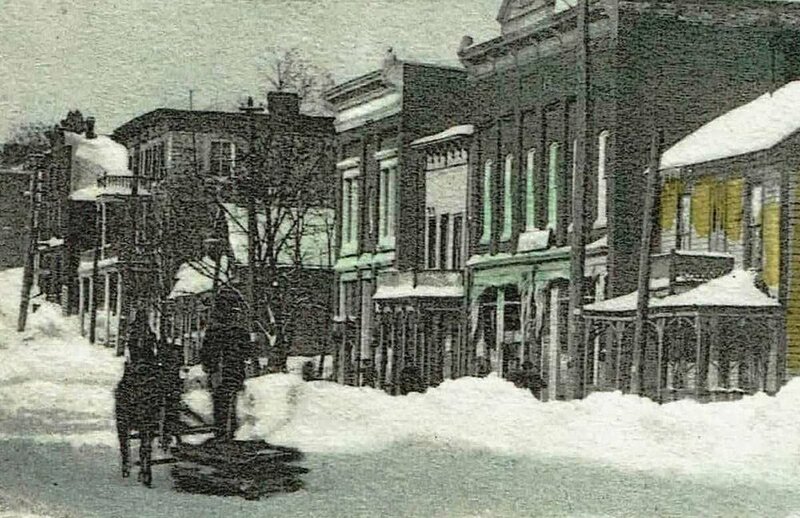 It was also occupied by James Hickey, who became postmaster in April of 1923, and Clifford Jones running a barber shop. Clifford was also a graduate of the School of Embalming and conducted funerals for F.N. Marett. Both he and his son also delivered the mail on Route 1. In 1929, the store was occupied by George Hartley and his wife, Nina Pinner, selling jewellery, and that year, they cut the door through to the main Marett building to the north. In 1929, James Laughlin Shannon had graduated from the College of Pharmacy in Toronto with his Bachelor of Pharmacy. On August 18, 1936, James Shannon and his younger brother William Arthur officially opened Shannon's Drug Store. Ronald Barrons: I am reminded as how my father would share his buying power with all stores, this drug store this time, the other one the next time. My father was like that. And living as we did near Cordova, ol' Harry on the way to town might turn left to Marmora or right to Havelock with that same thinking of his of sharing. James Dalton writes: " The only place to get the best butterscotch ripple ice cream in the world. As a young person after church on Sunday, we would always go to Shannon's drug store for ice cream.. What special memories I have "
Pearl McCaw Franko: I remember James Shannon always friendly and patient. "How many jawbreakers for one cent?" "How much is gum again?" "How many jawbreakers for two cents?" "How much are the BB bats?" OK. I'll have three jawbreakers. "One cent right. William Shannon,, brother of James Laughlin Shannon. Together they worked Shannon's Drugstore. Brian and Judy Donnan purchased Shannon's Drug Store in October, 1981 then sold their pharmacy business to the competing pharmacist, Nassim Kassam in 1989. After that, a series of owners either leased or purchased the small red brick building. 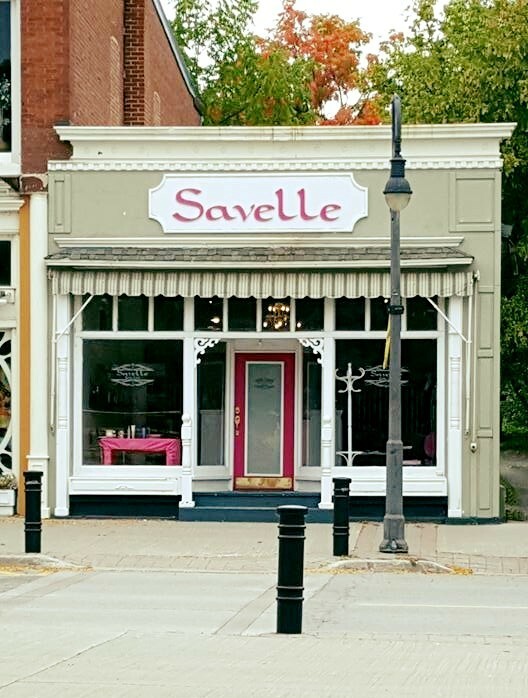 Now (2016) it is operated as Savelle Hairdresser.